NEW YORK: Researchers at Purdue University have developed a new flexible and translucent base for silicon nanoneedle patches to deliver exact drug doses directly into cells and expand observational opportunities. “This means that eight or nine silicon nanoneedles can be injected into a single cell without significantly damaging a cell. 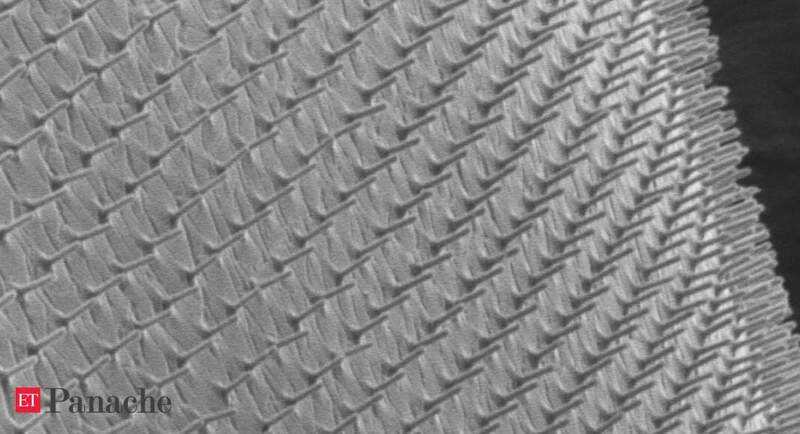 So we can use these nanoneedles to deliver biomolecules into cells or even tissues with minimal invasiveness,” said Chi Hwan Lee, Assistant Professor at Purdue University. “These qualities are exactly opposite to the flexible, curved and soft surfaces of biological cells or tissues,” Lee said, adding that they have now resolved this problem. “We developed a method that enables physical transfer of vertically ordered silicon nanoneedles from their original silicon wafer to a bio-patch,” Lee informed. The teams from South Korea’s Hanyang University and Purdue’s Weldon School of Biomedical Engineering and School of Mechanical Engineering received joint support from the United States Air Force Office of Scientific Research and the Korean Ministry of Science and ICT to complete this study. The researchers hope to develop the patch’s functionality to act as an external skin patch, lowering the pain, invasiveness and toxicity associated with long-term drug delivery. By IANS The road to a happier you is right nutrition and mindful eating as well as staying away from too much of caffeine and sugar, suggests Rueben Ghosh, Co-Founder and Culinary Director at Yumlane and Kashmiri Barkakati, food expert at Momspresso. Here’s how to do it right. Although a Western concept, wraps have surely found its popularity in India in the form of Frankie and rolled food items. The Kathi rolls are one example amongst the many variants and experiments with the delicacy in India. Consisting of various ingredients that could be included with the flatbread, chapatti or paratha like paneer, onions, green peas, ginger, garlic, mayonnaise or even mutton, a quick bite of this delicacy will appetize one’s stomach and effectively boost one’s mind into focusing on their work later.